George Lazenby, one of the 6 actors to play James Bond in the series produced by EON, was the star of the event. 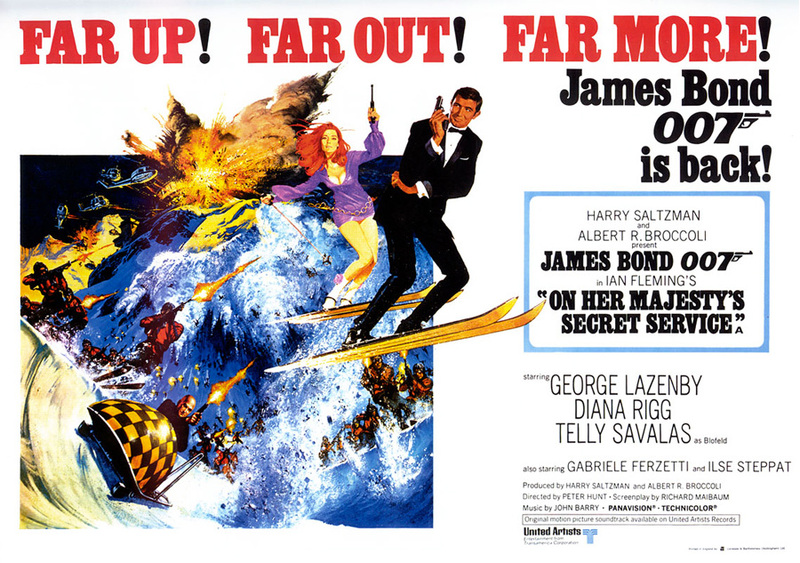 Lazenby played James Bond in the 1969 film On Her Majesty’s Secret Service. 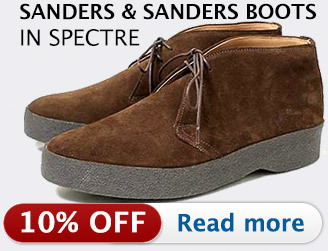 The film also stars Diana Rigg as Tracy, who Bond marries at the end of the film, and Telly Savalas as Blofeld. 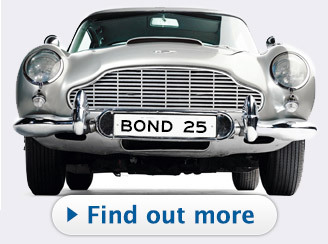 After mixed reviews in 1969, the film is now regarded as one of the best in the series. Lazenby famously left the Bond franchise after the film and never did a Bond film again. 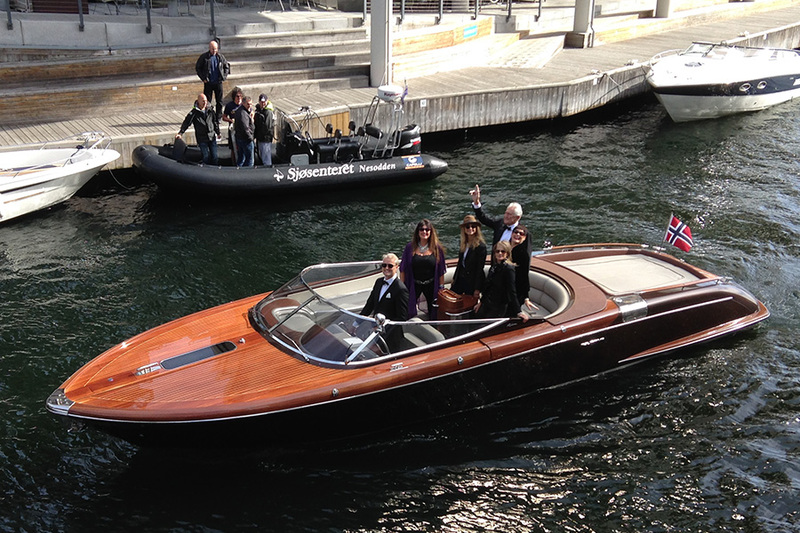 Other special guests in Oslo were no less than four Bond Girls, or Bond Women I should say. 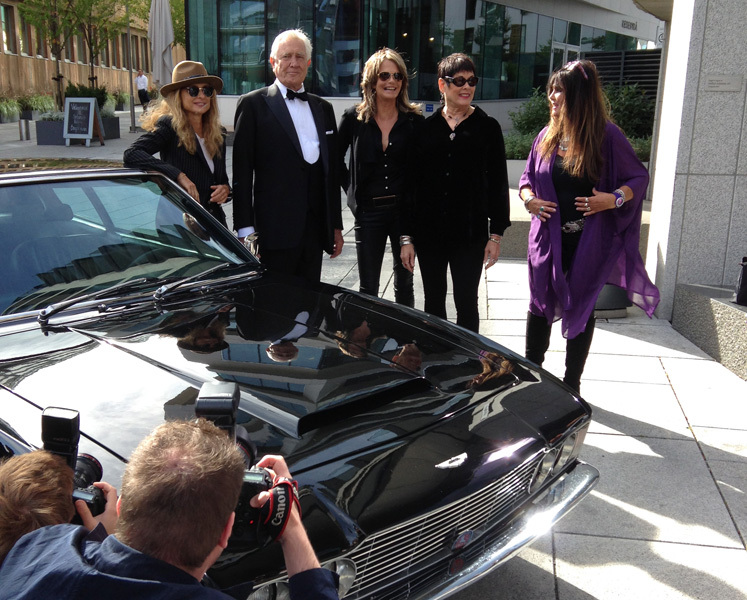 Martine Beswick, Caroline Munro, Maryam-D'Abo and Serena Scott Thomas. Martine Beswick is one of the few women to appear in more than one Bond film. She plays a gypsy girl in From Russia With Love (1963) and Bond’s ally in the Bahamas Paula Caplan in Thunderball (1965). Caroline Munro is another regular guest at Bond events. She played the voluptuous Naomi, Stromberg’s assistant in The Spy Who Loved Me (1979). Bond (Roger Moore) comments ‘What a handsome craft, such lovely lines’ when she walks back to her speedboat. Munro also appeared in many horror, science fiction and action films of the 1970s and 1980s. Maryam D’Abo played the main Bond Girl part of cello player Kara Milovy in The Living Daylights (1987) opposite Timothy Dalton as James Bond. 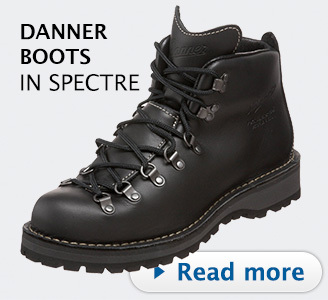 The most recent Bond Woman in Oslo is Serena Scott Thomas, who played Molly Warmflash in The World Is Not Enough (1999), the doctor who declares Pierce Brosnan as Bond fit for duty. Another special guest was David Mason, the man behind the reawakening of the Anthony Sinclair brand. 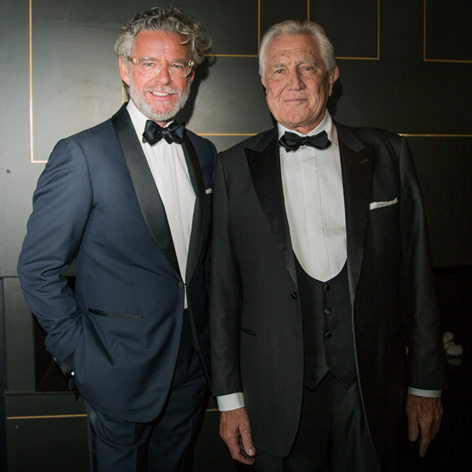 Mason, who also launched his own label, Mason & Sons, made a bespoke Anthony Sinclair tuxedo and shirt for George Lazenby to wear at the Gala event. Fans came from all over the world to attend the event, including Marcos Kontze from Brasil (James Bond Brasil), Ben Williams from London (MI6-HQ), Jeff Wybo from James Bond Canada (James Bond Canada), Matt Spaiser from New York (Suits of James Bond), Stephen Bäckman from Sweden (James Bond Secret Agent blog). 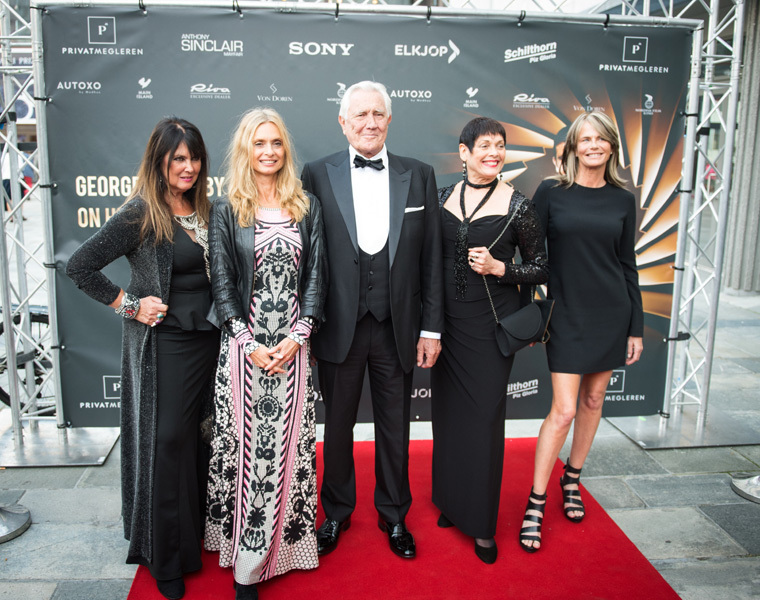 The day before the Gala Event, Bond Lifestyle joined these fans and George Lazenby, the Bond Girls and event organisers Morten Steingrimsen, Odd Kalsnes and Øyvind Asbjørnsen at a VIP dinner at the exclusive The Thief Hotel in Oslo. After a first class meal, the evening continued at the bar with George Lazenby telling some of his incredible and juicy life stories. 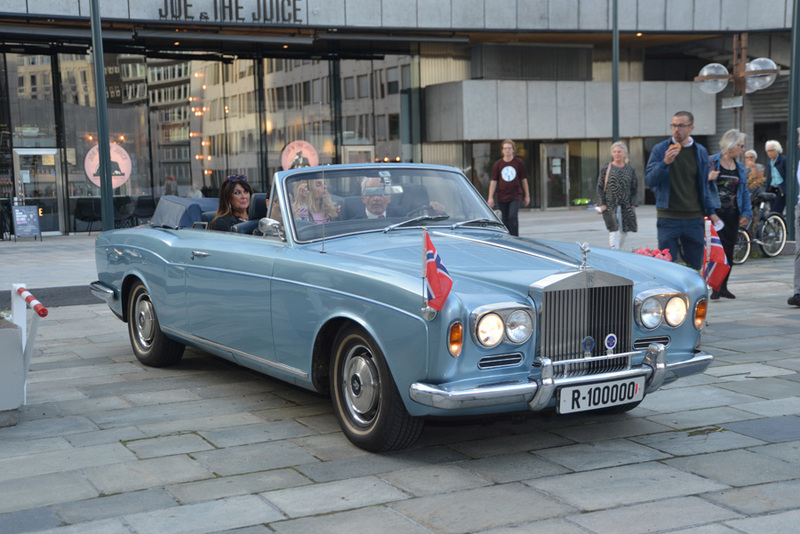 The next morning at 11.30 on Thursday September 1st, with beautiful weather in Oslo, a press conference took place at The Thief Hotel. 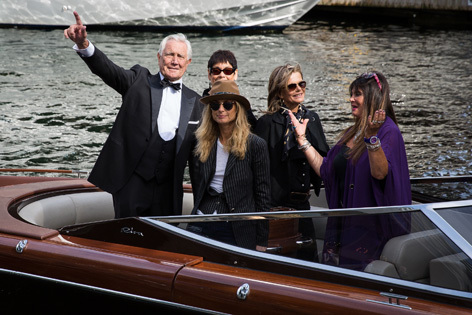 George Lazenby arrived in style in a Riva speedboat, accompanied by Bond Girls Martine Beswick (From Russia With Love and Thunderball), Caroline Munro (The Spy Who Loved Me), Maryam D’Abo (The Living Daylights), and Serena Scott Thomas (The World Is Not Enough). 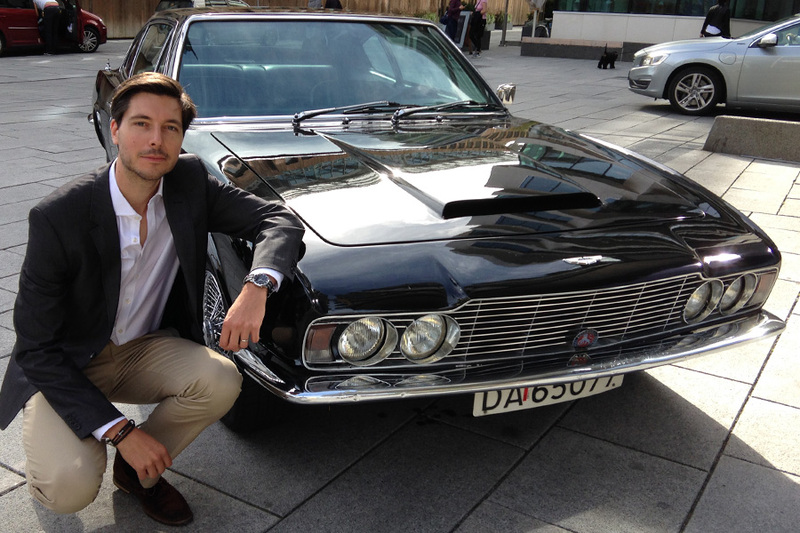 After the stars disembarked the sleek yacht, they climbed a few stairs to find a 1969 Aston Martin DBS Vantage, a similar model as seen in On Her Majesty’s Secret Service, parked in front of the hotel entrance. From left to right: Maryam D’Abo (The Living Daylights), George Lazenby, Martine Beswick, Serena Scott Thomas and Caroline Munro. After a photoshoot with the Aston Martin, the party moved to the lobby of the hotel for a press conference. 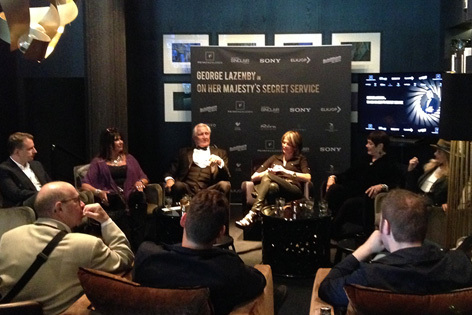 George Lazenby entertained the press and Bond fans with some of his fantastic stories of how he bluffed his way in to the Bond franchise and his life after the film. The stories sounded familiar to everyone who saw Everything or Nothing documentary, but it was a pleasure to hear the anecdotes, often embellished with racy details. 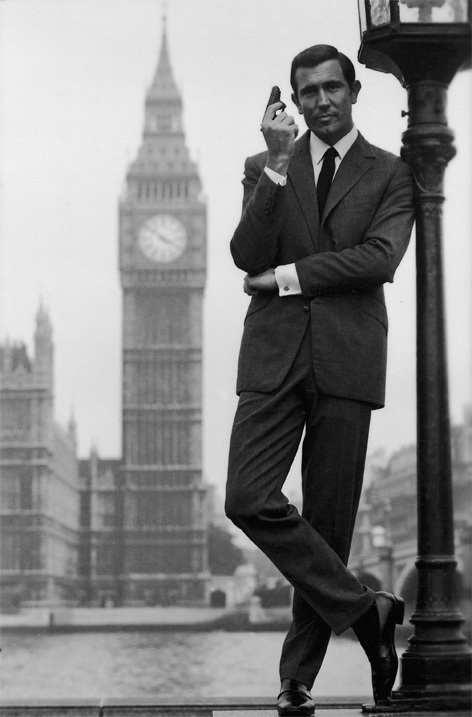 Australian born George Lazenby was a male model and car sales man who never acted before. 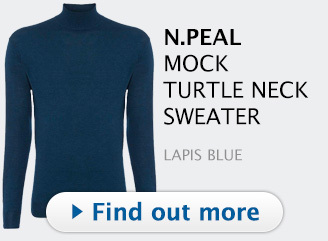 He was very keen to get the part of James Bond after Sean Connery had quit. 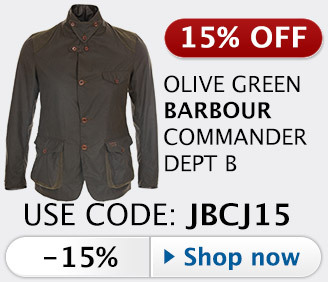 Lazenby literally forced his way into the EON casting offices. After pretending he had many acting jobs in countries like Russia and other places the casting people would find it difficult to verify his story, he was asked to go through a series of tests over a period of four months. Among other things he learned how to ride a horse. 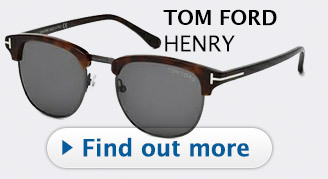 During one of the fight training sessions, he knocked out a stunt man, after which he was offered the job of James Bond. Even though his performance as Bond is now regarded as one of the best, at the time the film was not well received and Lazenby decided, strongly influenced by his manager, that the Bond series would probably not last into the 1970s. As Lazenby put it, it was all peace and love in the 1960s, no place for a violent secret agent, so he decided not to do another Bond film. Lazenby claims to have rejected an offer of 1 million dollar to play the role again. 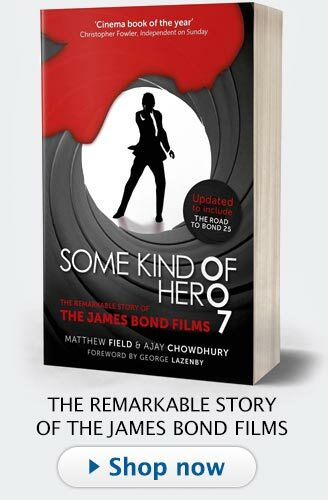 After the Bond films, Lazenby struggled to find another big movie role, and although he had some small gigs, the most interesting encounter was with martial arts star Bruce Lee. Lazenby again forced his way in, flying to Hong Kong and with his charm and persistence was able to meet with Lee, who offered him a part in his next film. In the three days Lee and Lazenby met in Hong Kong, discussing film ideas, Lee got suddenly ill, didn't show up to a meeting with Lazenby, and was found dead at a girlfriend’s apartment. Lazenby later attended the funeral, together with other celebrities including Steve McQueen. After his film career, Lazenby got into real estate, moved to California and was married to tennis star Pam Shriver from 2002 - 2008, with whom he has three kids. 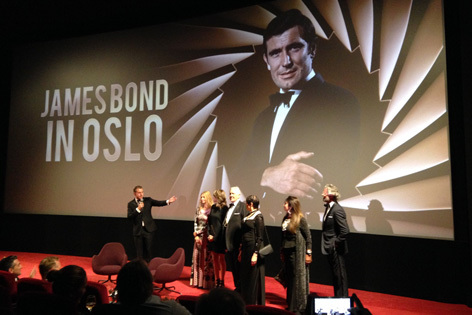 The press conference in Oslo ended after a Q&A with Bond Girls and Lazenby (who told more stories of his life, many including the countless women he had in the 1960s and 1970s). Then George Lazenby and the Bond Girls moved to a conference room where they gave individual interviews to members of the press. 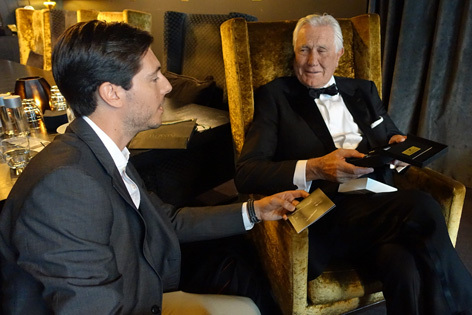 When it was my turn to meet with mr. Lazenby, I was able to present him with a pair of gold-plated Bond Lifestyle 10 Year Anniversary Gun Cufflinks as a gift. In the evening, the actual Gala event took place at the Vika Cinema in central Oslo. 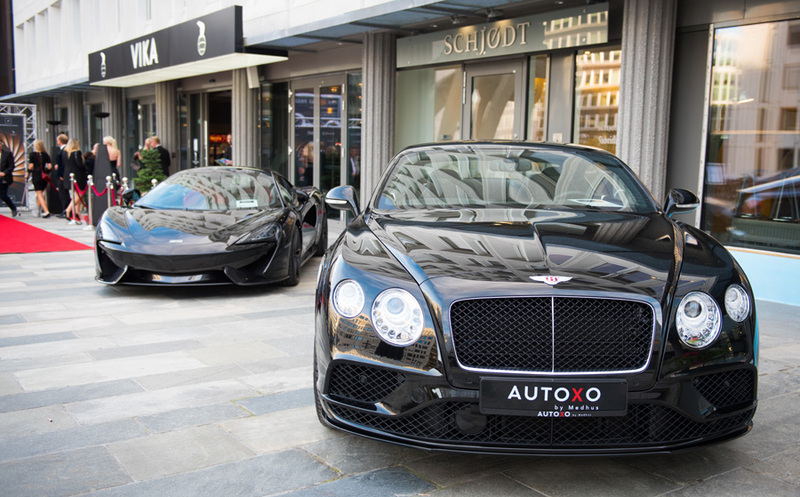 A red carpet was laid out, and a sponsor parked a black Bentley Continental and McLaren in front of the entrance. In total around 220 guests arrived at the cinema, and were welcomed with champagne and snacks. 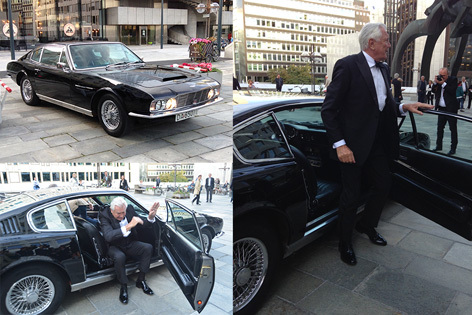 George Lazenby arrived in style in a black Aston Martin DBS Vantage, while the bond Girls were driven to the event in a light blue Rolls-Royce Corniche, a similar style and color as Draco’s car in On Her Majesty’s Secret Service. Guests were able to meet Lazenby, take pictures with him and the atmosphere was very relaxed. At about 19.30, people were asked to take their seats in the movie theater and after a presentation of all the stars, Lazenby was interviewed on stage by Maryam D’Abo, once more telling his stories, but now to a much bigger live audience than at the press conference. Lazenby revealed that he actually didn’t see the film often, so this would be one of the few times he actually saw the film all the way through. At around 20.15 the screening of On Her Majesty’s Secret Service, in digital 4K started, giving a unique chance to see this great Bond film in very high quality. At the after party, guests once again were able to walk up to the stars, have a martini and some went out in Oslo until the early hours of the next morning. With many thanks to organizer Morten Steingrimsen and his partners, the sponsors, George Lazenby and the Bond Women and fellow Bond fans, this was another great Bond event in Scandinavia. 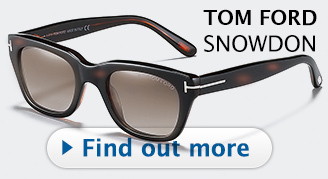 Sponsors included Schilthorn Piz Gloria, Sony, Anthony Sinclair, Riva, Aotoxo, Nordisk Film Kino, Main Island, Von Doren, Elkjop and PrivatMegleren.